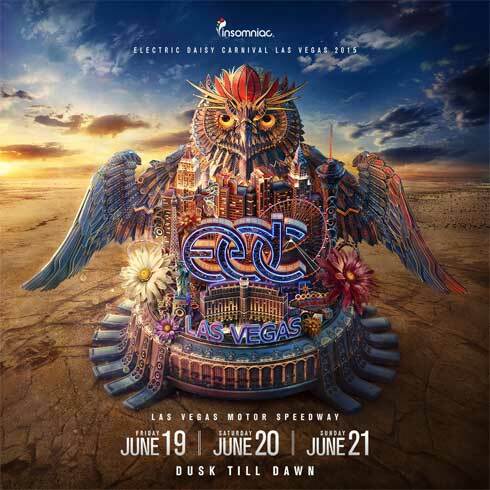 Electric Daisy Carnival (EDC) makes it highly anticipated return to the Las Vegas Motor Speedway for its 17th annual celebration on June 21, 22 and 23, 2013. 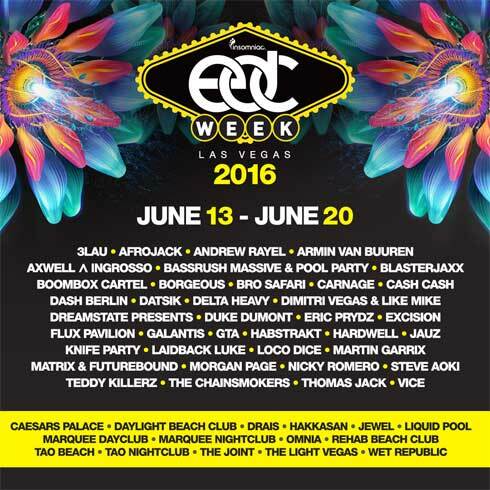 EDC Week also returns to Las Vegas for an entire week of nightclub and dayclub events, a music conference, and other special surprises spanning the week from June 18 – June 25, 2013. The 16th Annual Electric Daisy Carnival Las Vegas tickets are officially sold out announced by Insomniac today. The festival’s producer anticipates more than 300,000 attendees over the three-day event at Las Vegas Motor Speedway June 8-10, 2012.